This mattress has achieved GREENGUARD GOLD Certification. This isn't something you can use for everyday furniture. It isn't sturdy enough. The picture makes it look much more firm than it really is. You can't stand it against a wall. It'll just slump down and fold over. It'll conform to the shape of whatever you set it on, so I hope you're not using slats. I wanted to use this on my son's lower bunk bed, but I'm going to have to get something else.The cover is very thin material and it fits the mattress loosely. I opened it to see what the mattress was made of and I'm not even sure how to describe it. It's like the material version of particle board. Stuffing of all sorts and colors, a bit like a large rectangular ball of lint. I wouldn't even recommend it for a futon mattress because the thing is so flimsy I'm sure it'd wear out in a few months. I didn't expect much for this price, but even so I'm disappointed.I'm giving it two stars because it might be useful for something. Maybe for camping or as a temporary bed. Personally, I'd sooner buy an air mattress. This mattress is soft, that's about all I can say for it. I might keep it around for when the kids have sleepovers since it's slightly better than sleeping on the floor. Otherwise it's completely useless. Home territory searches the web to find the best prices and availability on Mattresses and related products foir your home like Dorel Home 6" Quilted Twin Mattress, Multiple Colors. 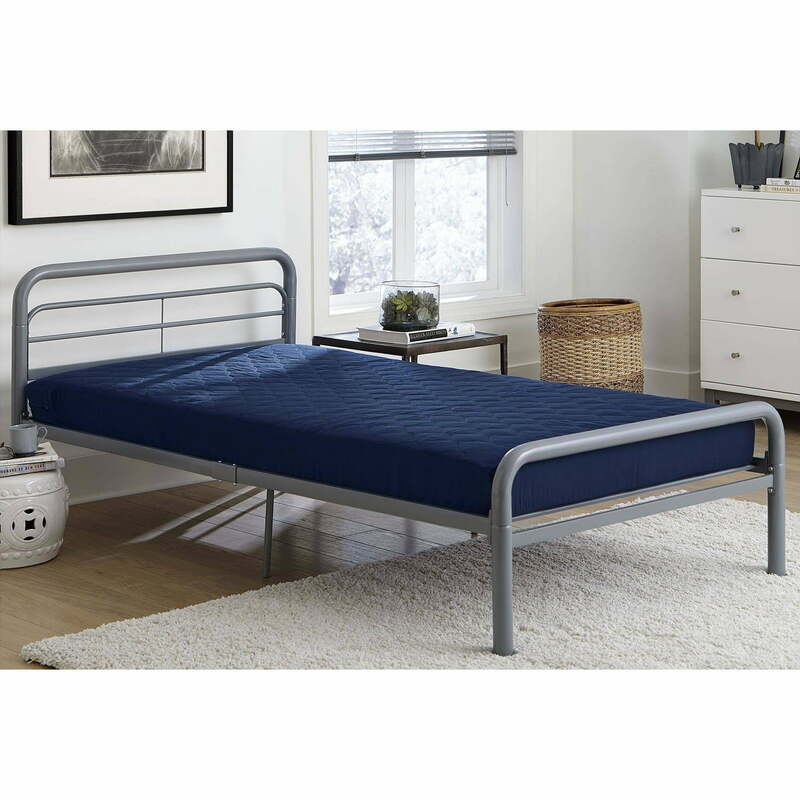 For this page, related items include products we find that match the following keywords: "Mattress" at our vendor partner Walmart - Click More Info / Buy Now to check for price rollbacks!. Dorel Home 6" Quilted Twin Mattress, Multiple Colors is one of 123 Mattresses and related products available for sale through HomeTerritory.com, If you have any questions on this product, please give us a call at 734-971-1210 during the hours of 9am - 5pm EST for assistance. Thank you for shopping at Home Territory, the home furnishings superstore!